The Dr. William F. O’Hearn Award for Faculty Advising recognizes a full-time John Carroll University faculty member who demonstrates exceptional commitment to, and skill in, the academic advising of undergraduates. This commitment manifests itself in the time and care the faculty member takes to assist students with short and long term curricular planning, discuss their personal and professional goals, and offer thoughtful counsel and guidance. 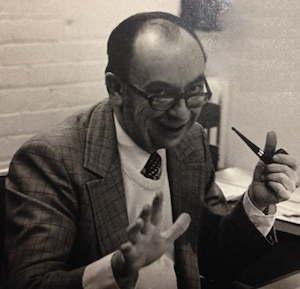 Dr. William F. O’Hearn served on the faculty of the JCU Department of Physics for four decades, retiring in 1996. 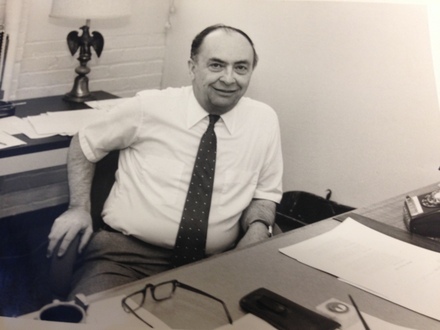 As associate dean of the College of Arts and Sciences, he created the Office of Academic Advising. This award honors the memory of Dr. O’Hearn and celebrates his dedication to supporting and mentoring students at all stages of their John Carroll University education. Current JCU undergraduates may nominate full-time JCU faculty members who participate in either the pre-major or the major advising program (or both). To nominate a faculty member, submit the following form on line, email it to academicadvising@jcu.edu, or return to AD 05, Academic Advising Office, by March 10, 2016. Nomination form: http://goo.gl/forms/3NvJDwTp0J, due Thursday, March 10. The Dr. William F. O’Hearn Award for Faculty Advising was established largely through the generosity of Mrs. Frances O’Hearn, wife of the late Dr. O’Hearn and mother of Dr. Margaret Finucane, Associate Professor of Communication in the Tim Russert Department of Communication and Theater Arts. The award will be given annually to a faculty member whose commitment reflects Dr. William O’ Hearn’s vision of academic advising.